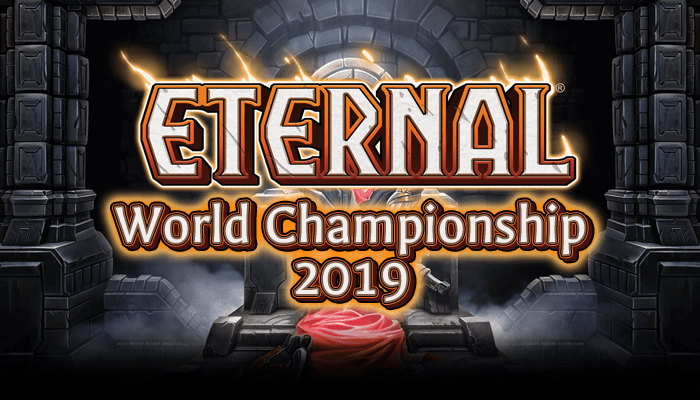 With the ETS Midseason Major last weekend, I didn’t get a lot of time to play Eternal this week. Instead of writing about some old-news deck, I figured I’d collect some thoughts I have on the current state of Eternal, some game theory, and other random musings I have. You may have seen some of these before on Reddit, Discord, or my stream, but having it all collected in one place and in long form can’t hurt. Without further ado, let’s dive right in! If it’s not obvious by my typical article content, I love control decks. Eternal has several options for reactive decks, but nothing that has pure inevitability like the nearly win condition-less decks of legend. There are plenty of ways to close out a game, from Champion of Cunning, to Icaria the liberator, to Mystic Ascendant, but I always like the thought of not playing dedicated win conditions. That leaves you the maximum amount of space for removal, card draw, and health gain to outlast all opposition. The closest thing I’ve found is Hooru control. Why Hooru control? A few reasons. First, it has a smooth 2 faction power base, so your power is usually undepleted and it’s easy to hit your influence requirements. Privilege of Rank also gives you a way to easily reach 8 power for Channel the Tempest, and you can afford to run enough Justice Sigils for it to always find two. Icaria Blue is basically a Hooru control deck splashing for better early removal in Torch, and Rise to the Challenge and Icaria as finishers. Losing the ability to get a 6 strength Auric Runehammer hurts, but there is plenty of other removal available in Primal and Justice. Also, as only two factions you have plenty of room to fit in all of the goodies those factions have to offer. Secondly, Hooru control almost completely ignores removal from the opponent. Your only units have aegis, so they take two spells and most of a turn to remove, and Throne Warden leaves behind 4 armor for your relic weapons to pick up and grab a 2-for-1. Lastly, you don’t need to play any dedicated win conditions! The plan is to just incidentally win with Throne Wardens you are playing for their blocking prowess and armor gain or Channel the Tempests that are often 4-for-1 removal spells. It’s so elegant. I can’t wait to see the Hooru faction cards that could push this deck into tier 1! Speaking of pure control decks, it is unlikely one can remain tier 1 while there are multiple linear proactive decks on top of the heap. By linear proactive decks, I mean decks that are built around an aggressive focus and are difficult to interact with, and that only play a minimal amount of interaction to deal with the narrow answers for its own strategy. For example, Shimmerpack and Praxis tokens are linear proactive decks that aim to go wide and buff their small units. They can only be favorably interacted with by using sweepers and relic removal, and often pack Stand Together or Backlash to deal with answers like that. It can be fun to do your own thing, and diversity in strategies is good, so why is it unhealthy to have multiple decks like this? Well, it can be fun to do your own thing once in awhile, but games are better when there is interaction and counter-play between players. Decks like Armory, Rally Aggro (the artist formerly known as Jito), or Shimmerpack require specific narrow answers. When there are many such decks being played, you can’t possibly run the answers to all of them because then you will lose to the other linear decks. It creates a false diversity where there are many ‘different decks,’ but they are all really different looks of the same strategy – ignore what your opponent is doing and kill them as fast as possible. The Modern format in Magic: the Gathering has often suffered from this problem, where there are too many disparate threats to run a reactive deck, so everyone just tries to goldfish as fast as possible and runs sideboard hate cards. This turns games into matchup and sideboard lottery, where you hope to hit good matchups and draw your sideboard cards that instantly end the game, and the most important decision in the games is whether to keep your opening hand. When you can’t possibly answer what your opponents are doing in 1/3rd of your matches, the best plan is to just not try. A good rule of thumb is: if you are thinking about putting Decay in your deck, you should probably just play burn. I’m prone to hyperbole, but I’m not exaggerating when I say Xenan Obelisk is the most broken card in Eternal right now. It enables a host of strategies that cannot be easily defeated by normal means, and the answers to relics are extremely poor against every other non-Armory deck. Ruin and Decay are literally dead cards much of the time, and Furnace Mage has the worst stat line possible as a single-faction 4/3 that dies to Annihilate, Vanquish, AND Torch. In addition to being difficult to interact with and therefore frustrating, Obelisk decks are boring to play with and against. Play some cheap dorks, draw some cards, drop Obelisk or Shimmerpack, A + space. It does the same thing every game in a way that doesn’t require much decision making and can’t really be played around from the other side. Nothing of value would be lost if Xenan Obelisk were simply removed from the game. On that note, I think Vault of the Praxis is also a poorly designed card. It is a 4 power do-nothing the turn it is played, so it is unplayable when you are under pressure, but then provides nearly impossible to interact with card advantage every single turn for the rest of the game. Unplayable against aggro, unbeatable against control. Sound familiar? Yeah, it’s Azindel’s Gift, and that costs almost twice as much and was recently nerfed. Every once in awhile there is a thread on Reddit complaining about the pause system, and usually they talk about how it makes the game less competitive because you can’t bluff. Except, you CAN bluff, and the system is symmetrical so it doesn’t remove any competitive edge you could gain. In fact, I think it adds more by allowing you to represent things you don’t have with another fast effect and make your opponent think you DO have it since they know you have SOMETHING. Your opponent has a pause at the end of your turn with 1 power open, so you know they have Torch (or Finest Hour if there is a unit in play) and can play around it. There is no pause when playing a spell but there is one at end of turn. They have an ambush unit. You have a Deathstrike and Steward of the Past in hand with 4 power. You play the Steward before attacking so there is no pause and the opponent doesn’t know you have a fast spell. You have a Finest Hour, but no Justice influence yet. You attack your power-down opponent with your Oni Ronin, then play your Justice sigil post-combat so they don’t know you have a combat trick in hand. If anything, the pause system ADDS value for competitive players, since if anything it gives an advantage to a player with intimate knowledge of popular decklists and all possible plays. It doesn’t remove strategy, it rewards preparation. We don’t have a lot of good card draw in set 1, but what we do have a couple excellent ones: Wisdom of the Elders and Staff of Stories. Wisdom is pretty universally acknowledged as one of the main reasons to play Primal, but Staff doesn’t get as much love. The deckbuilding costs for including Staff are actually not very high, and the payoff is enormous. Neon once told me that he thought he had won more games because of Staff of Stories than any other card. So what are those deckbuilding costs? Well, unless you are playing against burn you want to make sure your staff will survive the turn you play it so you can power up and protect it to ride the card advantage to victory. To accomplish this, you need sweepers or blockers and some fast removal to deal with ambush or flying units. TJP control with Combrei’s early units and Icaria Blue with it’s tons of Harsh Rules and spot removal are perfect examples of the two approaches. There non-traditional ways to set up Staff, too – a more aggressive deck like Elysian midrange can play Staff and have it be ‘protected’ by virtue of being the aggressor. If the opponent can’t attack the Staff because they need to block your units, that works just as well as blocking yourself. Some people get stressed out about their rank or get frustrated that they can’t play bad decks without losing ladder points. I think all of this ladder anxiety is completely unnecessary – ranked IS a casual mode. There is nothing on the line besides ladder points, and those points don’t count for anything except your ranked reward at the end of the season. It’s nice to get that premium legendary for reaching master, but that’s all it counts for. That 3200 Shiftstone isn’t the biggest deal anyways; if you are still building a collection, draft is a better place to spend your time than ranked regardless. All of the ladder points and rewards are secondary to the true goal of games, though – having fun. Do what makes you happy, regardless of rank. Some people enjoy playing competitively and grinding the best decks to get the highest ranking. Some people enjoy experimenting with their favorite cards to find the best shell for them. Some people just want to play goofy meme decks and get a few highlight reel moments. These are all wonderful goals, and the goal in Eternal is the same as the goal in life: do what makes you happy. If you are playing a deck you like, you will enjoy yourself a lot more, win or lose. If you don’t stress about your ranking, you won’t go on tilt and get frustrated as easily. I realize it’s not easy to be so zen, but if you try to push out external incentives and do what YOU want to do, you will enjoy yourself more in the long term. And enjoyment is the true purpose of games. Well, those are some thoughts I’ve had about Eternal that don’t lend themselves to full articles. I hope that you found something interesting to think about (even if you disagree with it), and and that your exploration of those ideas leads to some knowledge. Do you have a Hooru Control list you could share? That sounds excellent. I’m interested in a list too!